A virtual reality (VR) simulator is developed to aid in advancing teleoperated construction machines for disaster response work. VR simulators, which can measure arbitrary data, allow the operator to reproduce desired situations repeatedly, and change the machine and environmental configurations more easily than is possible in real environments, can create teleoperation technologies and quantitatively evaluate them, and can improve operational skills in complex disaster response works. As basic components of a VR simulator, a VR environment, operation-input, and videooutput components are developed. The VR environment is built using a basic graphics library and dynamics engine for simplification. The operation-input component consists of control levers for a demolition machine that has a grapple and environmental cameras with yaw, pitch, and zoom functions. The videooutput component consists of a two-dimensional monitor that can display an in-vehicle camera view, multiple environmental camera views, and the machine status. Experiments conducted show that operators can adequately transport debris in the VR environment while watching views on the monitor from the in-vehicle and environmental cameras. 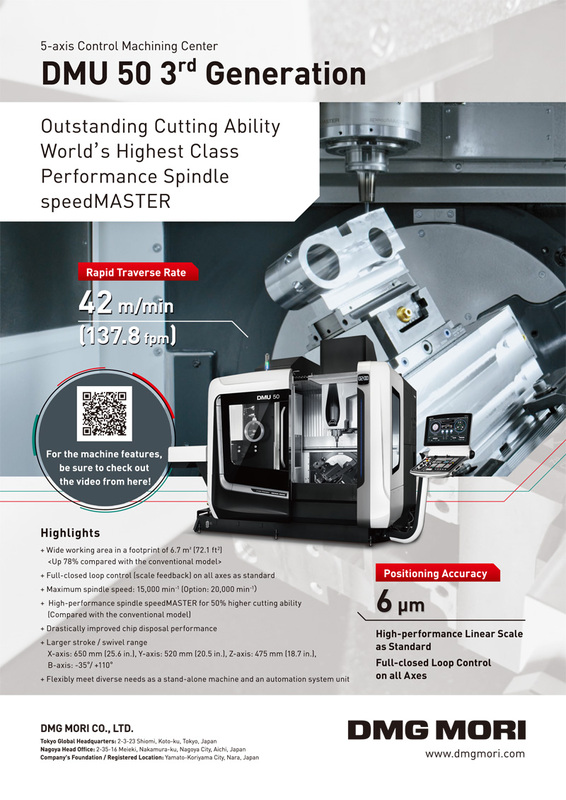 The experiments also reveal the characteristics that reduce the machine’s time efficiency. M. Kamezaki, J. Yang, H. Iwata, and <. Sugano, “A Basic Framework of Virtual Reality Simulator for Advancing Disaster Response Work Using Teleoperated Work Machines,” J. Robot. Mechatron., Vol.26, No.4, pp. 486-495, 2014. S. Tadokoro, “Special project on development of advanced robots for disaster response (DDT project),” Proc. IEEEWorkshop on Advanced Robotics and its Social Impacts, pp. 66-72, 2005. A. Ishii, “Operation system of a double-front work machine for simultaneous operation,” Proc. Int. Symp. Automation and Robotics in Const., pp. 539-542, 2006. M. Guarnieri, P. Debenest, T. Inoh, E. Fukushima, and S. Hirose, “Helios VII: a new vehicle for disaster response-mechanical design and basic experiments,” Advanced Robotics, Vol.19, No.8, pp. 901-927, 2005. C. M. Humphrey and J. A. Adams, “Robotic tasks for chemical, biological, radiological, nuclear and explosive incident response,” Advanced Robotics, Vol.23, No.9, pp. 1217-1232, 2009. S. Nishigaki, K. Saibara, S. Kitahara, H. Iwasaki, K. Yamada, and H. Satoh, “ICT-based work management to support unmanned construction for post-disaster restoration,” Proc. Int. Symp. Automation and Robotics in Const., pp. 508-513, 2011. K. Yokoi, K. Nakashima, M. Kobayashi, H. Mihune, H. Hasunuma, Y. Yanagihara, T. Ueno, T. Gokyuu, and K. Endou, “A tele-operated humanoid robot drives a backhoe in the open air,” Proc. IEEE/RSJ Int. Conf. Intelligent Robots and Systems, pp. 1117-1122, 2003. Y. Hiramatsu, T. Aono, and M. Nishio, “Disaster restoration work for the eruption of Mt Usuzan using an unmanned construction system,” Advanced Robotics, Vol.16, No.6, pp. 505-508, 2002. Y. Ban, “Unmanned construction system: present status and challenges,” Proc. Int. Symp. Automation and Robotics in Const., pp. 241-246, 2002. 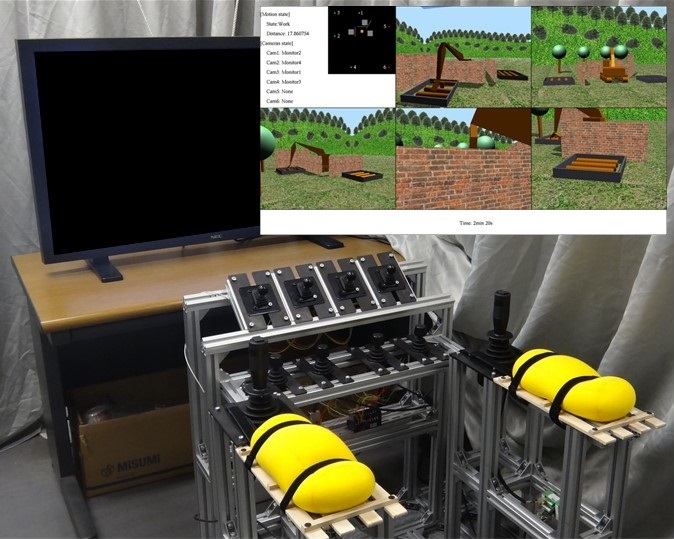 T. Xinxing, Z. Dingxuan, H. Yamada, and N. Tao, “Haptic interaction in tele-operation control system of construction robot based on virtual reality,” Proc. Int. Conf. Mechatronics and Automation, pp. 78-83, 2009. K. Nagatani, S. Kiribayashi, Y. Okada, K. Otake, Y. Kazuya, S. Tadokoro, T. Nishimura, T. Yoshida, E. Koyanagi, M. Fukushima, and S. Kawatsuma, “Gamma-ray irradiation test of electric components of rescue mobile robot Quince,” Proc. IEEE Int. Symp. Safety, Security, and Rescue Robotics, pp. 56-60, 2011. T. Hirabayashi, “Examination of information presentation method for teleoperation excavator,” J. Robotics and Mechatronics, Vol.24, No.6, pp. 967-976, 2012. M. Jinki, S. Youngwan, P. Shinsuk, and K. Jinwook, “Development of immersive augmented reality interface for construction robotic system,” Proc. Int. Conf. Control, Automation and Systems, pp. 1192-1197, 2007. N. Fujiwara, T. Onda, H. Masuda, and K. Chayama, “Virtual property lines drawing on the monitor for observation of unmanned dam construction site,” Proc. IEEE/ACMInt. Symp. Augmented Reality, pp. 101-104, 2000. S. Kitahara and Y. Takashi, “Deployment of construction robots applying the information technology and network system,” Proc. Int. Symp. Automation and Robotics in Const., pp. 19-23, 2006. H.-J. Park, S. Lee, S.-K. Kang, M.-S. Kang, M.-S. Song, and C. Han, “Experimental study on hydraulic signal compensation for the application of a haptic interface to a tele-operated excavator,” Proc. Int. Symp. Automation and Robotics in Const., pp. 298-303, 2011. D. B. Kaber, Y. Lee, M. Clamann, and Y. S. Lee, “Investigating human performance in a virtual reality haptic simulator as influenced by fidelity and system latency,” IEEE Trans. Systems, Man and Cybernetics, Part A: Systems and Humans, Vol.42, No.6, pp. 1562-1566, 2012. K. W. Oh, D. Kim, N. H. Kim, and D. Hong, “The virtual environment for force-feedback experiment of excavator using a novel designed haptic device,” Proc. Int. Symp. Automation and Robotics in Const., pp. 51-56, 2011. S. Haque and S. Srinivasan, “A meta-analysis of the training effectiveness of virtual reality surgical simulators,” IEEE Trans. Information Technology in Biomedicine, Vol.10, No.1, pp. 51-58, 2006. C. Basdogan, M. Sedef, M. Harders, and S. Wesarg, “VR-based simulators for training in minimally invasive surgery,” IEEE Computer Graphics and Applications, Vol.27, No.2, pp. 54-66, 2007. S. Nagiri, Y. Amano, K. Fukui, and S. Doi, “The study of driving support system for individual driver,” Proc. IEEE Int. Conf. Systems, Man and Cybernetics, pp. 563-568, 2002. S. Strassburger, T. Schulze, M. Lemessi, and G. D. Rehn, “Temporally parallel coupling of discrete simulation systems with virtual reality systems,” Proc. Conf. Winter Simulation, pp. 1949-1957, 2005.